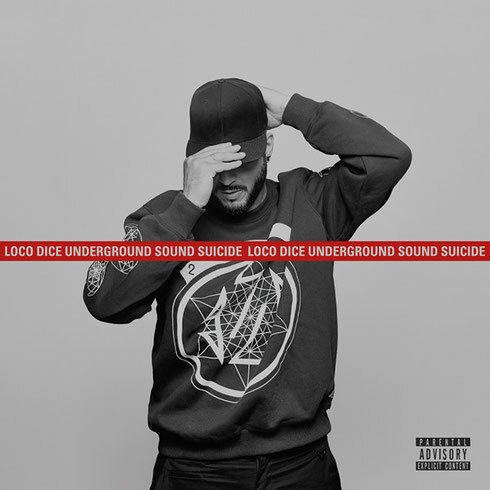 Since the release of debut artist album ‘7 Dunham Place' in 2008, Düsseldorf's Loco Dice has grown to possibly become one of the world's most sought after names in house and techno. Bringing together a full-length, cohesive artist album has long been considered the mark of a true artist and with his first, Dice proved he had both the ability and vision to deliver a body of work that is likely still today. Returning to his native Düsseldorf, Dice then put forward a slew of upfront club tracks, as best evidenced by 2012's ‘Toxic' EP - a body of tracks that proved the catalyst for Dice to start work on piecing together ‘Underground Sound Suicide'. In a nod to his techno side, he also joins force with Chris Liebing on ‘Keep It Low'. “With Just Blaze, it was like two hip-hop guys working on something completely different, something harder, and it instantly worked,” says Loco Dice. “Behind Mr. Techno there is Chris Liebing with whom I share a lot, but whose artistic expression is quite different than mine, so here the opposites collide. “Furthermore there is Giggs. You can't ignore him if you look out of the US hip-hop box. He is unique. When I met him in London and played him the album, he was totally diggin' it, he understood where I wanted to go with it and I had him on board.